A Child's Introduction to Ballet was created by Laura Lee with technical assistance and advice from Valery Lantratov, the artistic director of the Russian National Ballet foundation, who was awarded Russia's highest artistic honor by President Boris Yeltsin-- the title "People's Artist of Russia." We believe we have created a book that makes learning about ballet fun for kids. (And their parents too!) 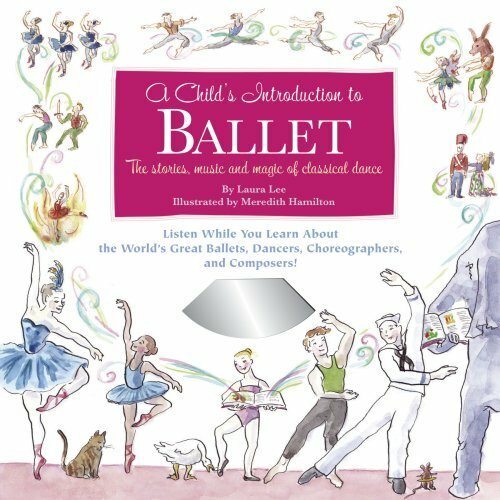 Beautifully illustrated by Meredith Hamilton, it has illustrated ballet stories, fun facts, dancer biographies and explanations of ballet terminology and positions. It even comes with a CD with musical selections from the world's great ballets! · Which ballet music sounds as if it was written for stomping giants rather than pretty ballerinas? How much do you know about ballet? Test your knowledge with our ballet quiz. For even more ballet facts visit Valery Lantratov's blog for interview podcasts, dance history, and stories of the dancer's travels and work teaching ballet.